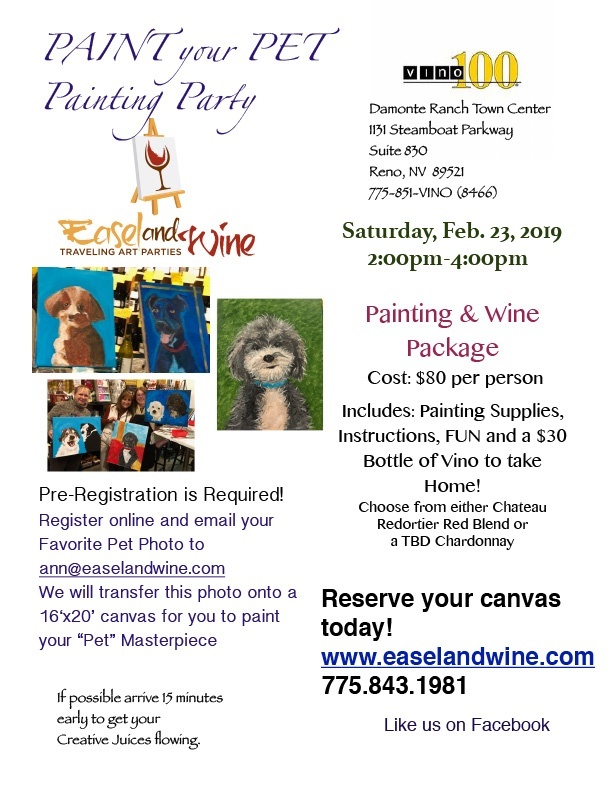 Join us on Saturday, February 23 to paint your favorite pet! Register and email a photo of your pet to ann@easelandwine.com. We will transfer this photo onto a 16″ x 20″ canvas for you to paint your pet masterpiece. Our Painting & Wine Package includes painting supplies, instructions and a $30 bottle of vino to take home. This event always sells out so be sure to register today!